A young boxer, just back from the Olympics, is found dead. Ralph investigates. In the larger story, the owner of the Savoy, Angelo and his first lieutenant, Johnny Rizzo, arrive in town and chaos ensues. “One federal witness , two federal agents and the last Sheriff of Clark County” Jack Lamb in reciting the ways Savino has broken the law since coming to town. 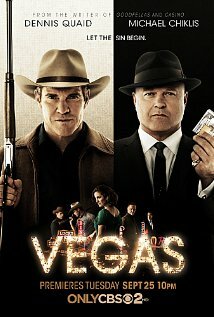 Side note and quibble- Ralph Lamb was the sheriff of Clark County, not Las Vegas. Clark County begins at Sahara (San Francisco Street back in the day) but this show takes place, almost exclusively, downtown where Ralph didn’t have any jurisdiction. Metro (the combining of the City Police Dept with the County Sheriff's Dept) didn't happen until the 1970s. 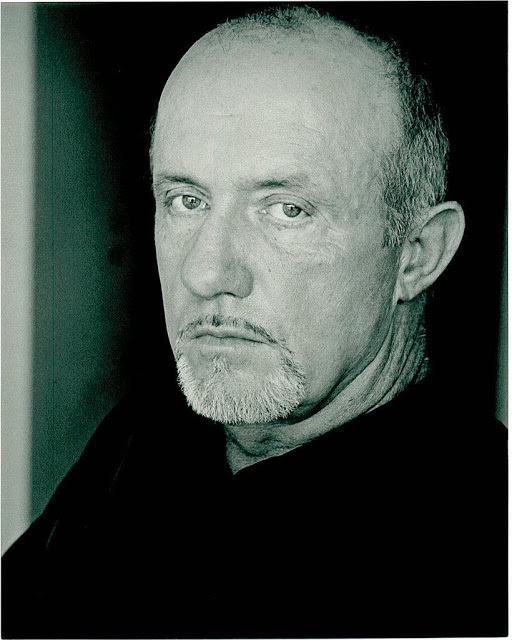 Well, things could be looking up, Jonathan Banks joins the cast. Been a fan since his days on Wiseguy (first William Russ, now Jonathan Banks and loved him as Mike on Breaking Bad). As the owner of the Savoy, he brings some menace. Mia (Sarah Jones) is the daughter of Johnny Rizzo (Michael Wiseman), the man who brings the big money in and seems to be Angelo's favorite. A dead body (the boxer) on Fremont Street. 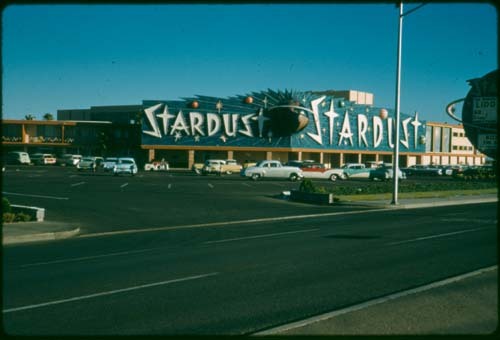 Why can I see portions of the Sahara sign and the original Stardust sign next to the Savoy? WTF??? The Savoy is not on the Strip. As I mentioned last week, you can see the Golden Nugget from his office. The Savoy is on Fremont Street. The geography is all over the map and not in a good way. 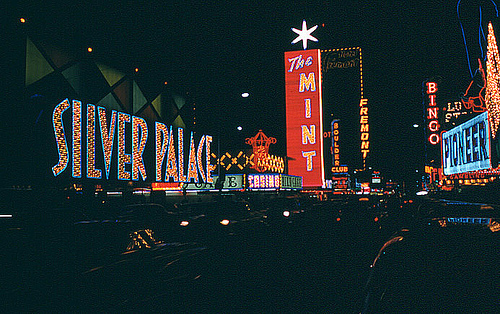 Don’t get me wrong, I love seeing these recreations of the signs and casino fronts but how hard is it to at least distinguish between the Strip and downtown. 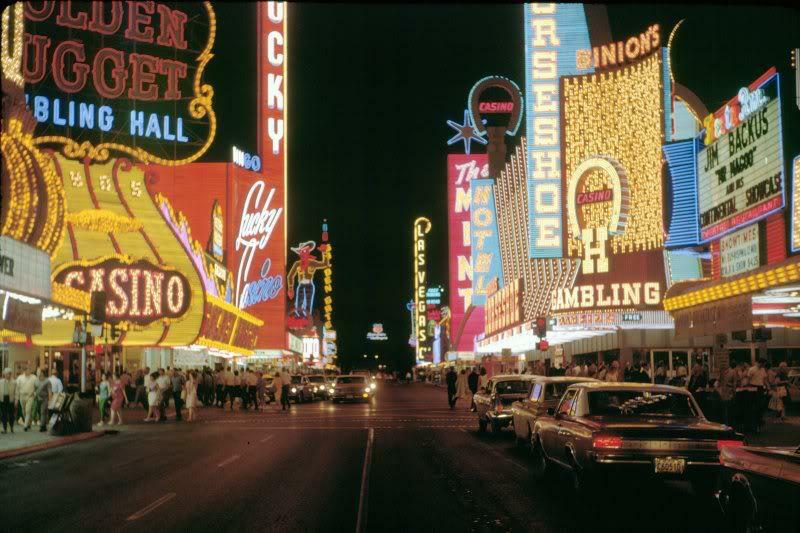 It was only 50 years ago and there are plenty of photos, news articles, film footage (from the Las Vegas News Bureau archives as well as network news archives like CBS) and postcards that show what hotels were where. 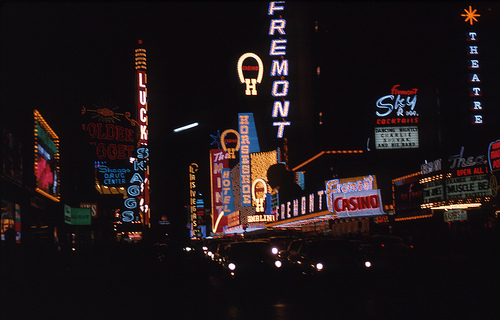 And no one who has seen them would believe that Fremont Street and the Strip were on the same County block. On the show, Johnny Rizzo is in the black book. If he’s in the black book, he not only can’t be on the gaming floor he can't stay in the hotel. It’s what got Sinatra’s license pulled when he owned a portion of the Cal-Neva Lodge in Lake Tahoe. He hosted Sam “Momo” Giancana and the Gaming Commission found out. 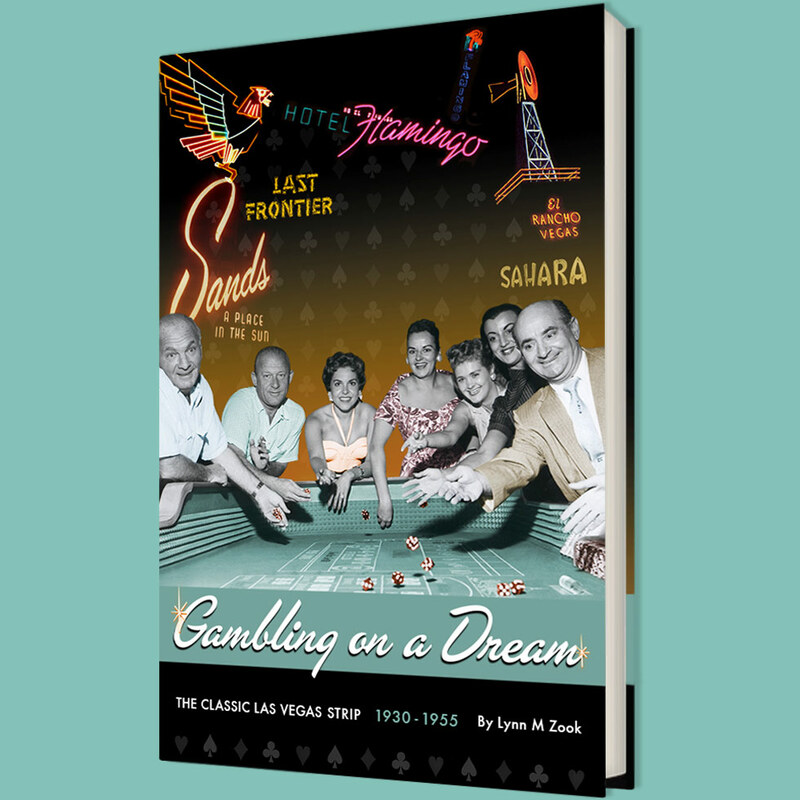 Sinatra had to give up his points in the Sands as well. Talking about skimming from the boss in his own hotel. That takes cojones. Too bad there's no weight in the words. A gourmet restaurant, women’s clothing stores, in 1960s these are novel ideas? Every hotel on the Strip had them. These are not novel ideas for the era. No matter where the damn hotel is supposed to be located. The sawdust joints downtown had gourmet restaurants but space was valuable on Fremont Street so women’s shops, etc not necessary because the whole street had them (Ronzoni’s, Fanny’s, Chic Hecht’s, CH Baker Shoes) and women only had to walk a block to them vs on the Strip where you had to drive a half mile or more to get to the next property. It’s stuff like this that takes me out of enjoying the show. Well, that and the lack of character and story development. Ralph vs Rizzo on the floor of the Savoy conjures up memories of Ralph vs Lefty Rosenthal. But Ralph had more gravitas. Or at least the stories do. These are still archetypes not real characters so no one’s words carry any weight. 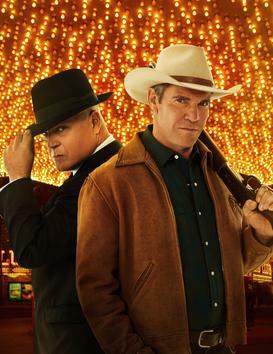 The original wiseguys were smart enough to keep the violence to the outskirts of town, not the floors of the casinos and while they may not have liked Lamb, they likely didn’t entertain the idea of whacking him. Angelo sides with Savino which only serves to make Rizzo mad and you can tell by the commercial break, the bad blood between Rizzo and Savino just got worse. The scene of Chiklis delivering the above speech is the best acting we’ve seen so far by any of the characters. 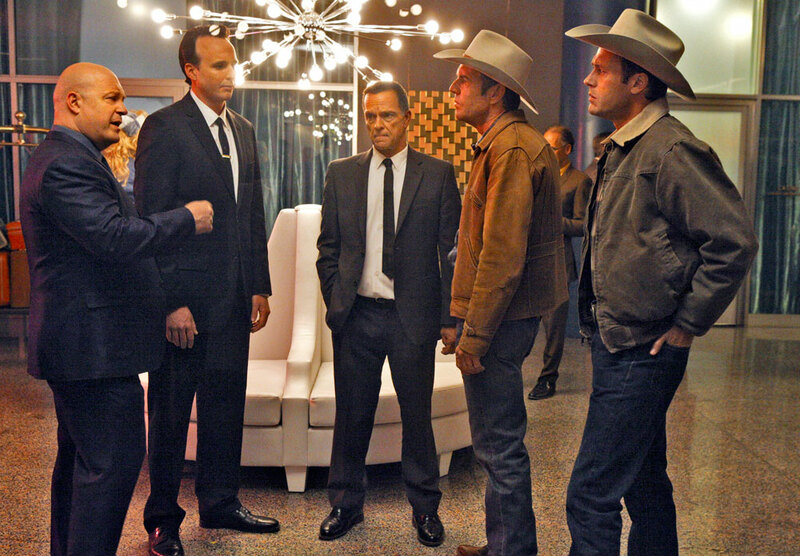 The main cast is trying hard but they need a story that is about these characters and not about archetypes. The idea to kill Lamb felt more like a Rosenthal and Tony the Ant move than a Moe Dalitz move . But Lefty and Tony were almost 20 years later than the era the show is set in. You can’t just trade one era for the other. Well, maybe you can. CBS is touting the show as its “#1 new drama”. No show next week as the presidential debate takes place.